Through My Eyes: Pregnancy Update: Week 28. 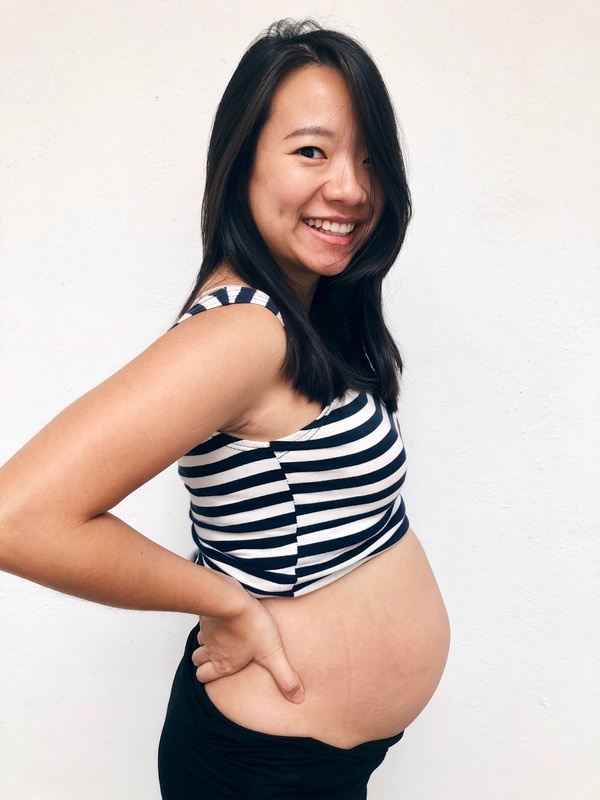 I used to wonder why all mothers-to-be always regard their baby growth using weeks and not months because it's really a lot easier for people who are not expecting to imagine it, right. But now that I am on-board this pregnancy-train, I finally understood why. Simply because all doctors use them weeks in reference and not months. They don't say things like, "Okay, you're seven months pregnant! 2 more months to go!" Instead, it's, "You're 28-weeks today so that means you have 12 weeks to go!" I bet you all (those who haven't gotten pregnant yet) thinks that baby pops out after nine months of pregnancy! A full term pregnancy is actually 40-weeks long. I didn't know that too. As much as I enjoy counting down using weeks in reference, I still try to update every time I hit 'a-month' so my fellow people can get it. Heh. Ahh, it's been such an unexpected journey with this one inside, getting super active everyday. Not to mention getting really big and heavy too. Oh mann. That being said, WELCOME TO THIRD TRIMESTER, US! The sleepless nights have started I tell you. No matter how I sleep, sideways or up-ways, nothing works anymore. I would be in a position not longer than 10 minutes and panting for oxygen after that. It's madness. One night I even sat up on the bed and slept like that. Then, my backbone started to hurt really bad so I lied down. Then, the hard-breathing begins again. It's not every night that I experienced this, but I do have shorter sleep now thanks to the bladder and tiny human constantly partying inside me from midnight till 7am. Not out yet and already party like a rockstar. Before pregnancy, I weighed about 48kg - heh so much for 'a woman never reveals her weight and age'. Anyways, as of 28 weeks or 7-months (whichever you prefer), the weighing machine at home tells me that I am exactly 60.0kg. The maximum weight goal that I have set for myself in the beginning was 60kg. So what do I do now that I've hit the maximum weight? I have 12 weeks left. This is pure torture to my soul okay. But since I really cannot control the weight-gain (BECAUSE OF THE WATER INSIDE MY BODY), I shall just not care so much about the goal whatsoever. But I am a bit more conscious with the kind of food I eat now in terms of its calories intake. Many people tell me that the weight-gain would be shed off pretty quickly once I start breastfeeding but still, I think I should still be more careful with what I eat and not just swallow food that I crave for. I am back to the curry-frenzy where I can have just curry (preferably Indian-kind) the whole day. I totally can. It satisfies me like mad. Then, at times (most of the times), I find myself wanting to eat desserts-like-food - ice cream, cakes, muffins and anything sweet as main meals. IT IS SO BAD I TELL YOU. There are a few times I literally had to tell myself to calm down and it's insane to dive into sweet desserts all-day err-day. It's temptations like no other. My sister warned me about my sugar intake because I would not want to get diabetes or allow tiny human to get it. Then again, I have always have low blood sugar, so too much sugar is really not a big concern. Heh. So I say la. Never mind, I shall persevere through this. None seen on any side of my belly so that's really good news so far. I have been applying virgin coconut oil (everyday without fail) on my belly and I really think it could work! 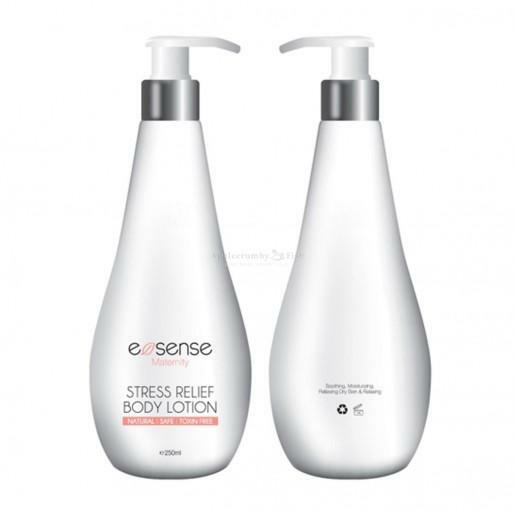 Recently though, a friend of his gave us a box of E-Sense Maternity products consisting of a bottle of Stress Relief Body Lotion and a bottle of Stretch Mark Oil Spray. Adrian loves the smell so now I use the E-Sense Stretch Mark Oil Spray at night before I sleep and the virgin coconut oil in the morning before I leave the house. He hated how the Palmer's Cocoa Butter smells so now that bottle of cream is just on the shelf collecting dust - waste money seriously. If you know of anyone who enjoys this cocoa butter, please let me know so I can give to her for free okay. I don't want to waste. Heh. I received a lot of feedbacks on how stretch marks usually will appear during the third trimester onwards, but let me tell you this - I am so serious about not wanting any stretch marks that it is one of the points in our daily-night-prayer okay. I know stretch marks will remind me of the beautiful journey of being pregnant and things like that, but in all honesty, I am and will be reminded of this journey even without having to deal with stretch marks. For those of you have these marks, I am sure you would love it and embrace it. I'm just not sure if I will for my own case. Okay, I have heard this from a number of people and I (of course) have to agree with them. Hah. The pregnancy glow, something that I don't know if its true or not but apparently I have that on my face and that my face isn't as bloated as others when they were expecting. Then again, I do know that my face have grown horizontally (a bit) with my double chins turning to triple soon. Hah. I don't think I can avoid this to be honest so it shall be what it is. Also, usually my skin is more towards the dry side, but lately it seems that it is producing more oil that Saudi Arabia. WHERE DOES THIS OIL COMES FROM? Its making me restless because I really do not enjoy having oily face. I feel so sticky and in need of shower every 20-minutes or so it's madness. I hope this is a very short-term thing. This one you really cannot not realize. Scroll up and see the photo again please. Sharper than my nose. Heh. Everyone says that it is like this because I am carrying a boy. If a girl, then it won't be as this sharp and point-y. Decreasing s the day goes by. My body screams bed when the clock hits 10pm - so if I'm still out after 10pm, I'm really a walking zombie already. The body is just forced to stay awake and vertical till it gets home and gets to lay on the bed and not move. Heh. You have no idea how nervous I already am. Every night sure dreamed about the baby being born already and I would wake up and share that with Adrian. Scared but very excited seriously. Now that our room is baby-ready, I think we are baby-ready too! We are revealing the name (not that people don't already know hah) on the next post! Stay excited with us please thank you! Eins Hotel, Jeju-do, South Korea.